There are now almost 8,000 courses being taught in English by leading universities in non-English speaking countries, according to a project mapping their expansion. The rise of universities teaching in English, rather than their own local language, has become a global phenomenon. 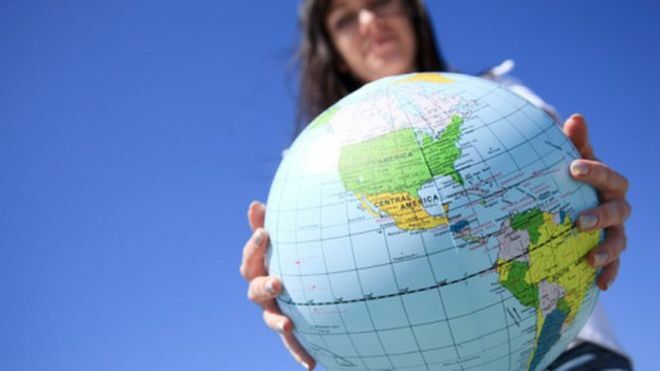 These are not only appealing to the world's five million international students who travel abroad, they are also being chosen by students staying in their own countries who prefer to study in English rather than their own language. The research is from a Dutch-based organisation, StudyPortals, which has a database of information on 100,000 bachelor and masters' degrees at over 2,100 universities around the world. It provides a starting point for people looking to "find a way through the maze for globally minded students", says StudyPortals' Carmen Neghina. The mapping project has also looked at a group of 1,000 universities at the top of international rankings, and has found that more than three quarters of these offer at least one or more degrees taught entirely in English. These will include universities that are in English-speaking countries, including the US and UK, but Ms Neghina says there are now 72,000 different English-taught courses on offer to students from these leading universities. The Netherlands has the most degrees taught entirely in English on the European mainland, with 12 universities included in this ranking offering a total of over 1,000 courses taught in English. Germany has 54 top universities in this ranking, with over 835 English-taught courses for international students. Sweden has 12 universities listed with 550 courses in English; Denmark has seven universities listed with 482 programmes in English and Spain has 27 universities with 426 courses. This is more than a European trend. Of the 112 top universities identified in China, 45 offer one or more English-language degrees, as do 20 in Taiwan, 11 in Japan and six in Thailand. The rising numbers of students studying abroad could drive this trend even further. Hans de Wit, director of the Center for International Higher Education, Boston College in the US, says there are predictions that by 2025 the number of international students could have risen to eight million. The largest numbers of international students come from China, India and South Korea, but Nigeria is catching up fast. English-speaking countries together with Germany and France attract most of them. But Dr de Wit has forecast that their "market share is under threat due to increasing competition from other countries, including China". Within Europe, according to the Academic Co-operation Association, the number of university courses taught in English in non-English-speaking countries has increased by more than 300% in seven years. 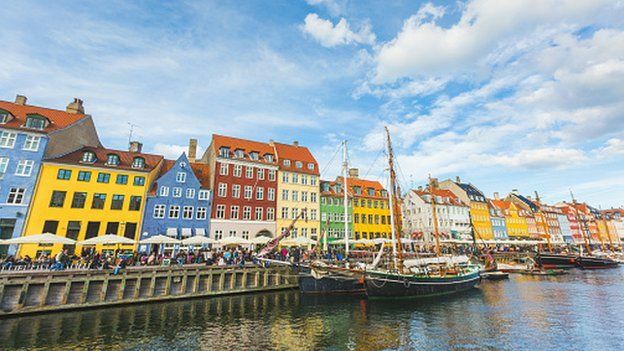 The highest concentration is in Denmark, where 38% of university programmes are English-taught courses. In the Netherlands it is 30%, Sweden 24% and Finland at 23%. The proportion of English-taught courses in Germany is just under 6% of the total programmes available. In France and Italy it remains a much lower proportion, about 3%. And in Turkey it is lower still at about 2%. Such courses don't just attract international students. They are also popular with home students, particularly at masters' level, who want to gain an English language qualification alongside international students without leaving their own country. According to the ACA's report, about 45% of those on English-taught university programmes in mainland Europe were studying in their own countries. In about one in 20 courses, there were only domestic students enrolled in these English-taught degrees. There was a trend for courses in the Baltic countries and south-eastern Europe to have more domestic students learning through English, while English-taught courses in Nordic and western European countries tended to have more international students. But the pattern for English courses being more popular at postgraduate level is not universal. "In most countries, English-taught masters' degrees are more common, but not in South Africa and China which may be worth looking at for those wanting a bachelors' degrees taught in English, as well as a cultural adventure," said Ms Neghina. There are also five-year courses in which the first three years might be taught in the home language, such as Swedish, with two postgraduate years taught in English - so that any local students will have to study for part of the time in English.